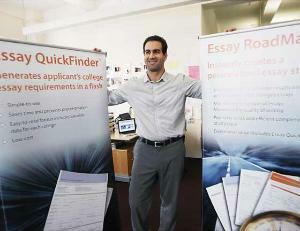 Our President and CEO Daniel Stern was featured in the Bergen Record (in New Jersey) yesterday talking about the Common App and the many misconceptions students and counselors have about it. Dan spoke about the surprising number of essays students face after they've completed their required Common App essays - namely the many supplemental, department-specific, and scholarship questions that pop up for any student applying to multiple colleges. On top of that, he spoke about the importance of understanding the prompt. When a college asks you why you're interested, remember that it's not advisable to just repeat the guidebook back to them. They know you want to be there - that's why you're applying. What they really want to learn about is you and what you're going to bring to the campus. Above all, Dan talked about what we're all about here at CEO - simplifying the essay and application process in easy and inexpensive ways so that you can focus your time on your best writing without spreading yourself too thin. Make sure that you know ahead of time how many essays your colleges require so you don't have any rude surprises in the fall. Getting out ahead of things now will make the rest of the way smooth sailing for sure.